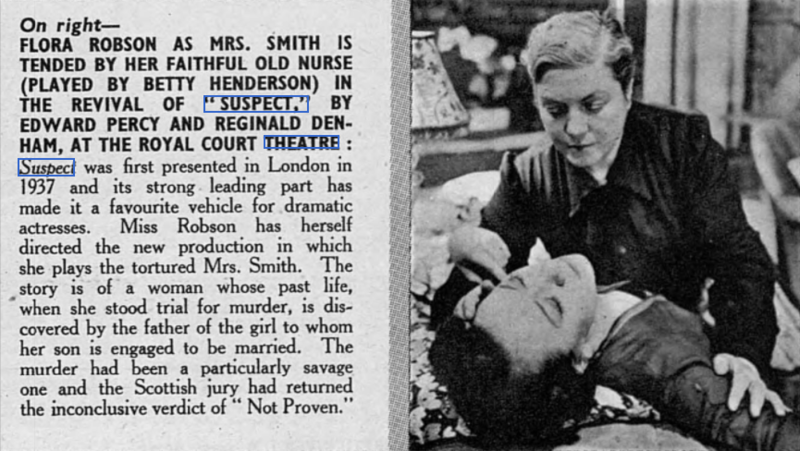 According to the programme notes for "Time and Yellow Roses" of 1961, Greta Wood was in the play Suspect, starring Flora Robson, who also directed. Miss Robson was to give a lot of work to Greta, as they were close friends. 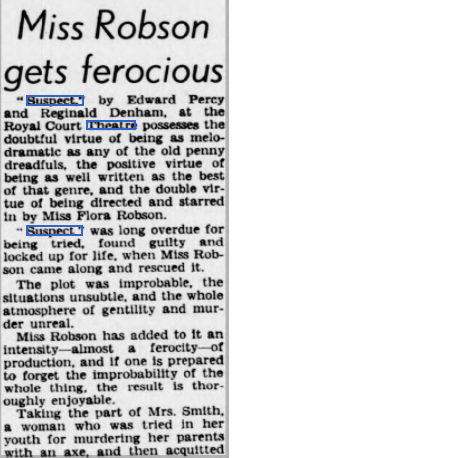 From The West London Observer - Friday 18 November 1955.